Fine gastronomy meets spectacular views. 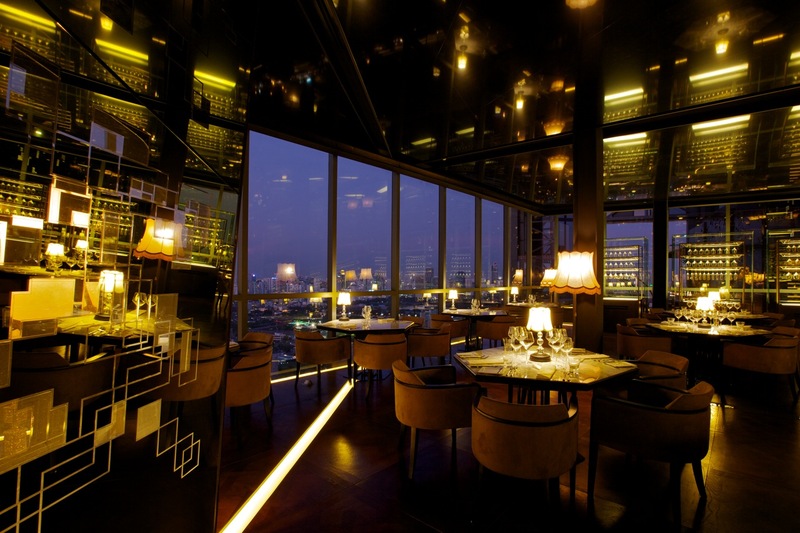 Offering indoor and al fresco dining, with panoramic view of Lumpini Park under the starry sky of Bangkok. Each dish is a personalised creation, selected from your choice of the freshest ingredients, prepared and cooked as your mood dictates. Absolutely stunning. A truly memorable experience. Our second visit & it didn't disappoint. If you're in Bangkok, Park Society is a must. Прекрасная атмосфера, отличная работа персонала, оригинальная подача блюд. Park Society is a true fine dining experience across all elements. Excellent ambience, superb service and delectable dishes. 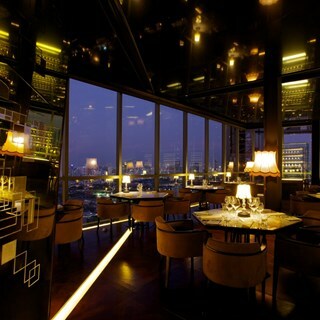 This is THE restaurant for fine dining in Bangkok. It's a wonderful evening. The food was excellent, the restaurant decoration was lovely and the music was fab. The waiters and waitresses were very friendly and took care of us. Hope to come back and taste for new menus. Beef steak should be austeria or japanese beef. Our experience in the restaurant was superb. We had a wonderful evening. The food was delicious and the wines were an excellent match. Michele, our host, took very good care of us, talking us through each course brilliantly. He was fabulous! We had a fantastic evening. The place is outstanding, the food-we had a 6-tastings-course- was marvelous and had several moments of surprise, very innovative, great experience . The service was excellent. Especially Michel  Minh Corlou, he was responsible  at our table. He made a great job with everything , especially his wine recommendation was extraordinary.. After visiting  several Top Restaurants worldwide this visit was a very special one, we really  enjoyed the evening!! We waited 15 minutes for someone to take our drinks order. We ordered wine but the wrong bottle was brought to the table. We were told the requested wine was out of stock and were offered an alternative, which was fine. The wine was poured by the waiter but subsequently he never returned to refill the glasses throughout the meal so we had to serve ourselves. After 1 hour we had only received 1 of the 4 course taster menu. We requested for the service to be speeded up but it still took 2.5 hours for all the food to be received. What should have been a relaxing meal for the final night of our holiday was ruined by poor service. The dining room was near empty at 8:45pm, my pinot grigio was warm, my food was cold, cutlery was not changed between courses and the overall experience was irritating and much overrated for one of the' best, not to be missed' spots in Bangkok. Our most expensive meal in the city and the one we enjoyed the least. les membres du personnel sont attentifs à toute demande et et considère chaque client comme un client privilégié. Magnificent view from the 29 th floor ! Chef Joost is very creative in combining flavours, textures ans sauces . A sort of dutch japanese combination,original and successful.The proposed german wines are well suited. Staffs were very attentive and friendly and took care of us very well. Nice personal touch with complementary cake for our anniversary. Our waiter was exceptional. He delivered first class service and is an asset to your establishment. He was well versed in all the meals and wines and nothing was too much trouble. fantastic view, and great service! Very professional staff with nice service. Delicious food and nice view.